Autism Movement Therapy, a 501(c)3 Organization, is proud to present to you: Glorious Pies! 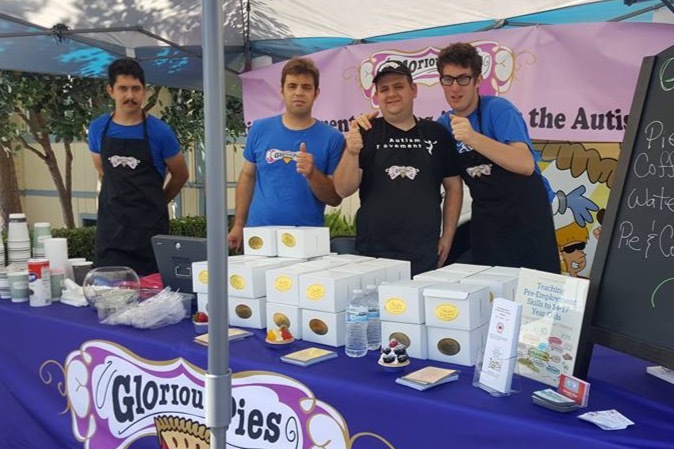 Glorious Pies is bringing both job training AND employment to adults with autism! 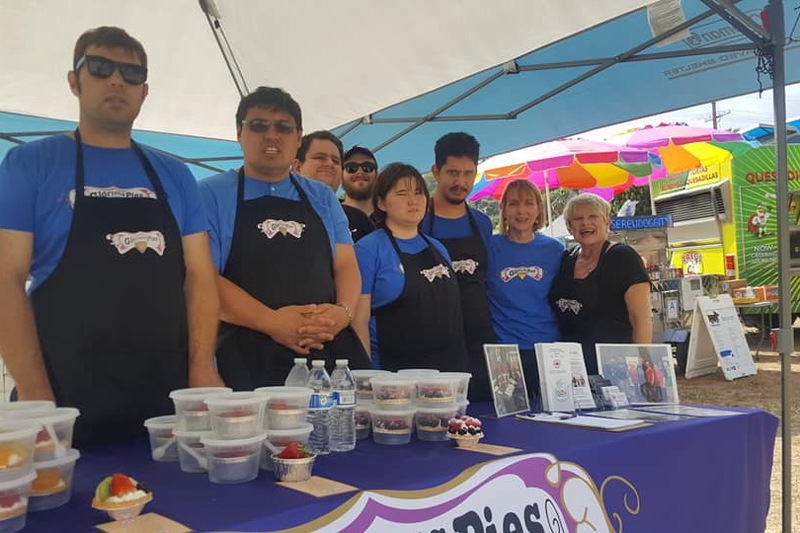 Our current pilot program selects top candidates from our Autism Works Now pre-employment skills program and gives them a job learning on-the-job skills selling pies! 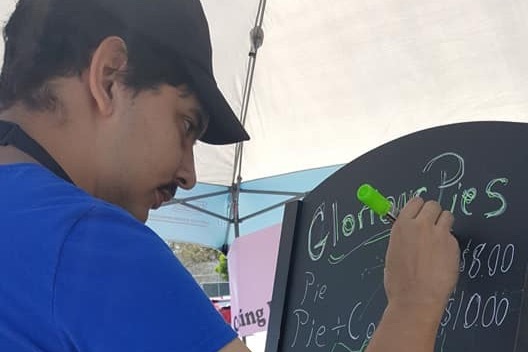 We want to expand that pilot program in the form of a full-time food truck selling our 'glorious' pies and other pastries, sourced from our partner bakery Hayk's Cake House in Van Nuys, CA. Adults with autism face an unemployment rate that dwarfs that of the general public. There is both a lack of awareness on the part of employers as well as a lack of services for individuals with autism beyond the high-school and college environment. Glorious Pies puts our candidates front and center. We want the public to see that hiring individuals with autism is a realistic proposition while also providing our candidates with the opportunity to learn job skills. We think it's incredibly important to teach these skills not in a theoretical setting, but in the real world! The candidates in our program learn the basic skills necessary for entry level customer service positions. They learn: customer service at the point of sale, cash handling, sales and advertising techniques, inventory management, how to set up and maintain an area for food service, and how to handle the nuance between those tasks. They can then put these skills onto their resumes and find success for themselves outside of the program. 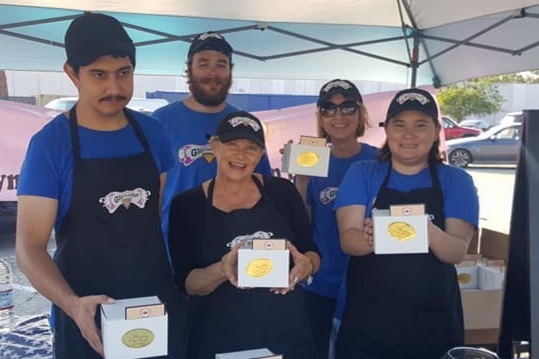 We have enjoyed tremendous success with our pilot program at community festivals and other fantastic venues across the LA area, such as the Culver City Car Show, Specfest 2018, Stephanie's Day, Dessert Goals, and have more yet to come! We are coming to you and asking to help us take our program to the next level! We are raising funds for the purchase and upkeep/maintenance of a full service food truck. Moving into a bonafide food truck will dramatically increase our reach and allow us to operate on a more consistent basis. This will provide a steady paycheck to our candidates and allow us to increase awareness that, yes, you can hire individuals with autism and have a successful business! Join us for a pie, will you? Thank you so much for your time and your donation!